There can be no question, at this point, that certain higher ups in the FBI and the DOJ did not want Hillary to be indicted and did not want Donald Trump to become President. Those efforts were not entirely independent of each other. 6. April 2016. Hillary campaign and DNC begin funding infamous Trump dossier. 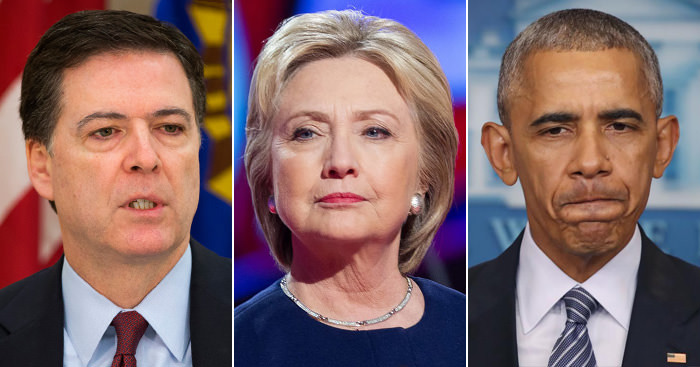 To conceal payments for the dossier, Hillary’s campaign gives money to attorneys who then pay for the dossier – a clear campaign law violation. If that campaign payment had been properly disclosed, the payment for the dossier, and likely the dossier, would have been exposed in the summer of 2016. That disclosure likely would have hurt Hillary’s campaign. Peter Strzok is the FBI agent in charge of the Hillary investigation, which is dubbed Mid-Year Exam. He is having an affair with FBI lawyer Lisa Page. In a text exchange, Page informs Strzok that Cruz dropped out. 26. December of 2016. Obama Administration begins process to relax rules on sharing intelligence about Americans. The rules previously provided that if an American was speaking to a foreigner who was being surveilled, the American’s name would be masked in the intelligence documents. Obama made it easier to share the actual names – which so happened to be Trump transition officials trying to do their job. Tom Del Beccaro is the Author of The Divided Era.